Another course available to us in TY has been the Gael Linn Communications course. It took place over 5 days, and 3 of our blog members attended from December 1st-5th. The first three days were focused around making our own radio shows. 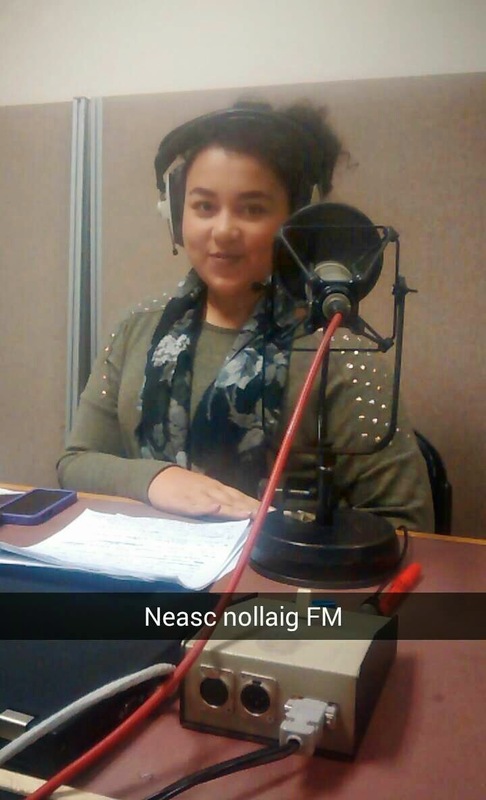 Along with students from another school, the 15 of us planned and produced our radio programmes 'as Gaeilge'. On Wednesday we visited 'Raidió Na Life' where we recorded our shows in the studio with the help of the station's producer. Our shows consisted of music, chat and interviews. It was a great experience and so exciting to be a radio presenter for the day! The last two days were centered around making our short film. We brought in props, wrote the script and finally began filming on Friday. We were taught how to use professional cameras and learned lots of new useful skills that we will definitely use again! After recording our films we edited the clips on the iMovie software and decided on the final cut. Overall it was a really enjoyable week and it didn't hurt that we were in Dublin city every day. It was definitely worthwhile and a fun way to improve our irish, learn new skills and meet new people! We would recommend everyone in fourth year to take part in the course and it's something for future TY's to look forward to.